This review was so good it made me blush. Thanks, Dan! It isn’t often a book comes along that has the ability to forever change the narrative when we talk about what a political revolution is and what it means for Americans. When you have two very loud groups fighting for control of what the future of the country should look like, this book comes along and lays out what the fight is really about. It blows that media hyperbole; it doesn’t rely on flashy headlines to villainize one group over another. 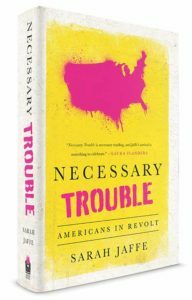 It takes a real and honest look at the revolutionary movements taking place in our country and Jaffe masterfully explains the movements like no author or journalist has done before.